Cherry Hill, NJ — Joseph Sparks and Tanner J. Thorne each have been named Vice Presidents of Sales, Capital Equipment Solutions at Corcentric, a leading provider of procurement and financial process automation solutions. Sparks will have responsibility for the Western US region; Thorne for the Midwest. In these newly created positions, they will be responsible for analyzing customer fleets in order to optimize their total cost of ownership. Joseph Sparks has two decades of experience as a sales professional in the transportation industry. Most recently, he was Vice President of Sales for Estenson Logistics/Hub Group Dedicated, where he grew annual revenue from $60M in four states to more than $285M in 31 states. He was also a three-time Sales Executive of the Year during his tenure at Ruan Transportation. 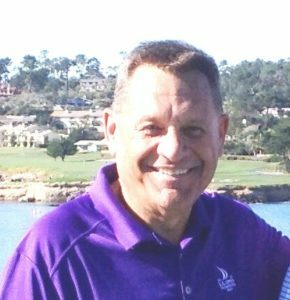 He began his career with Ryder Systems as a National Sales Executive and also held executive sales positions with Industrial Fleet Management and First Fleet Corp. A resident of Scottsdale, AZ, Sparks holds a BS degree in Marketing from Michigan Tech University. 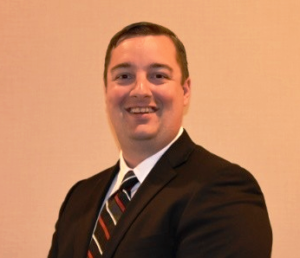 Tanner Thorne joined Corcentric form Penske Truck Leasing, where he was a Lease Sales Representative, handling multiple locations for customers nationwide. He ranked in the top 10 percent of all Lease Sales Representative in the country. Thorne began his career in the transportation industry with Penske in 2015 as a Management Trainee, and was later promoted to a Rental Sales Representative. A member of Wisconsin Motor Carriers, Thorne received a BS degree in Communications/Public Relations from the University of Wisconsin and is a resident of Green Bay Wisconsin. Corcentric is a leading provider of procurement and finance solutions. Corcentric helps companies reduce costs and improve working capital by optimizing how they purchase, pay, and get paid. Corcentric’s procurement, payables automation, billing solutions, and capital equipment solutions empower companies to spend smarter, optimize cash flow, and drive profitability. Since 1996, more than 6,000 customers from the middle market to the Fortune 1000 have used Corcentric to unlock new potential within their enterprise. Learn more at corcentric.com, or follow Corcentric on LinkedIn at www.linkedin.com/company/corcentric.